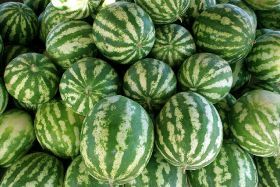 Vietnamese watermelons exported to China will be required to arrive with cartons lined using new materials from May this year. 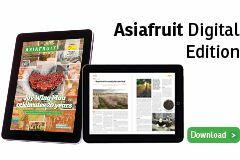 According to information from the Vietnam Trade Office branch in Guangxi, China, the customs department has asked fruit importers to change lining materials used during transit. Vietnam typically lines cartons with straw, but new regulations imposed by China’s customs department dictate ‘non-harmful materials with no infectious organisms’ must be used, such as porous mesh. Vietnam News reported that since May 2018, China has improved the management and traceability of its imported watermelons, placing traceability labels on many of its imported fruit products. China produces around 73-75m tonnes of watermelon each year, according to data from the Ministry of Industry and Trade (MoIT). The nation also imported an average of more than 200,000 tonnes each year, to the value of US$30m, from 2014 to early 2018, however in recent years import volumes have declined. From 2016-17 import volumes declined 7.8 per cent. Fruit is sourced from Vietnam, as well as Malaysia and Myanmar. The MoIT recommends producers and exporters work with Chinese importers to comply with the new regulations.